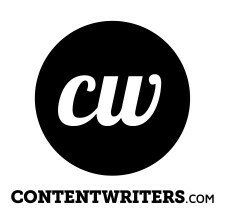 NEW YORK, July 10, 2018	(Newswire.com) - ContentWriters’ latest white paper tackles the longstanding issue of differentiating between pay-per-click advertising on Facebook and Google AdWords. Each platform generates billions of dollars of revenue for their respective companies, however, marketers have struggled to understand the fundamental differences in what type of content belongs on which platform. Content consumption and placement are two areas where the platforms are diametrically opposed to one another. With Facebook, businesses need to create ads that flow seamlessly in newsfeeds, whereas AdWords ads will already fit in with the content on the rest of the page. In AdWords, if an ad shows up, it’s going to show up alongside other similar ads. Conversely, if an ad shows up on a Facebook feed, it will show up amidst unrelated content such as links from other pages a user follows are activity from their friends. These characteristic differences are just some examples of why content creation has perplexed marketers and why ContentWriters’ new white paper will serve as a valuable resource for industry professionals.